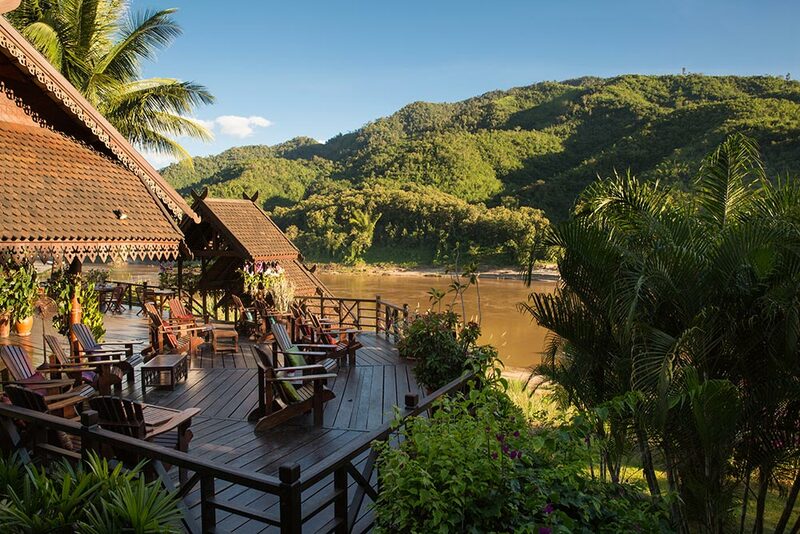 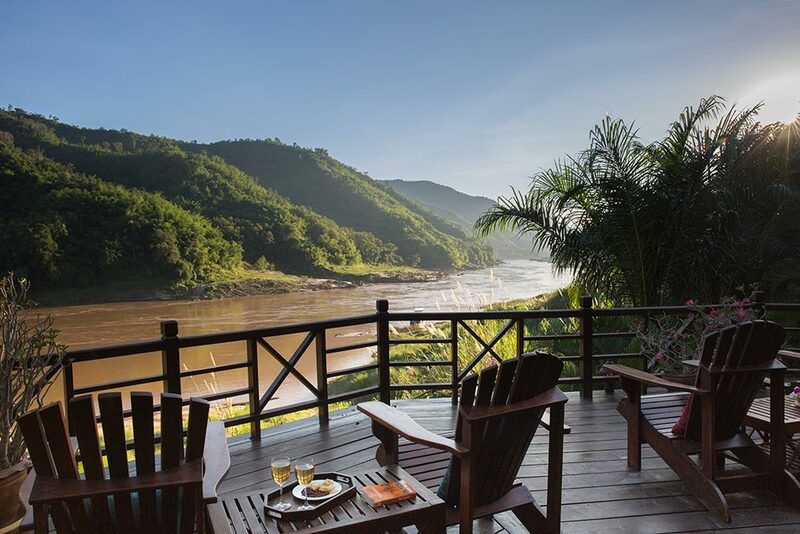 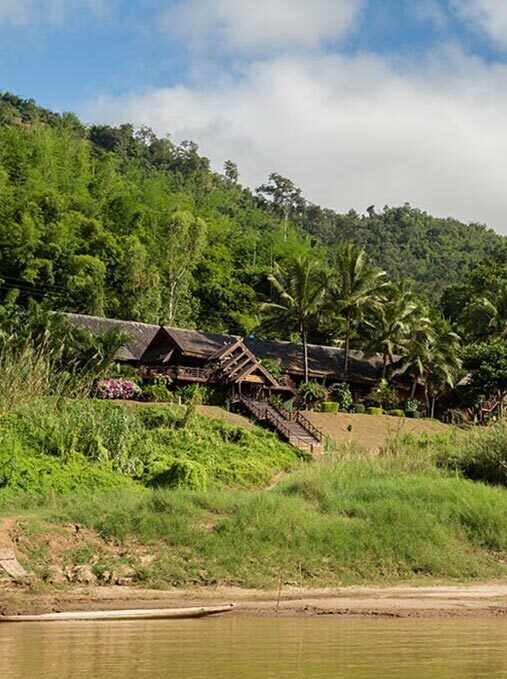 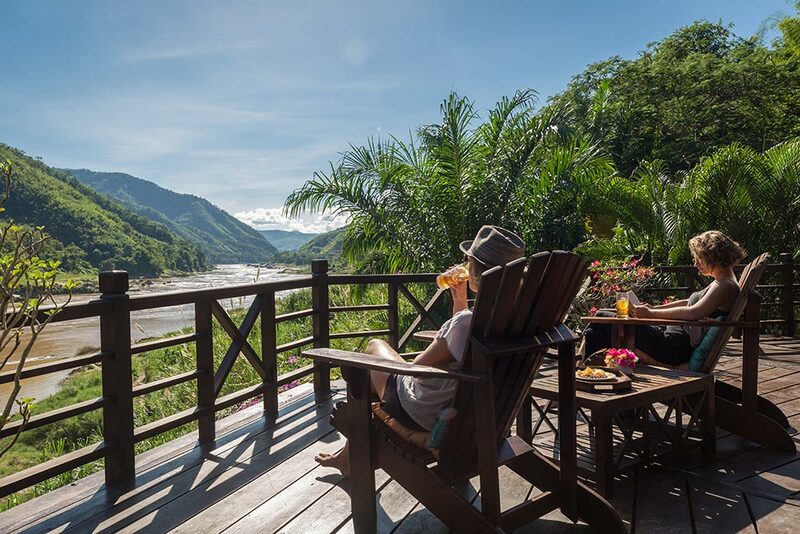 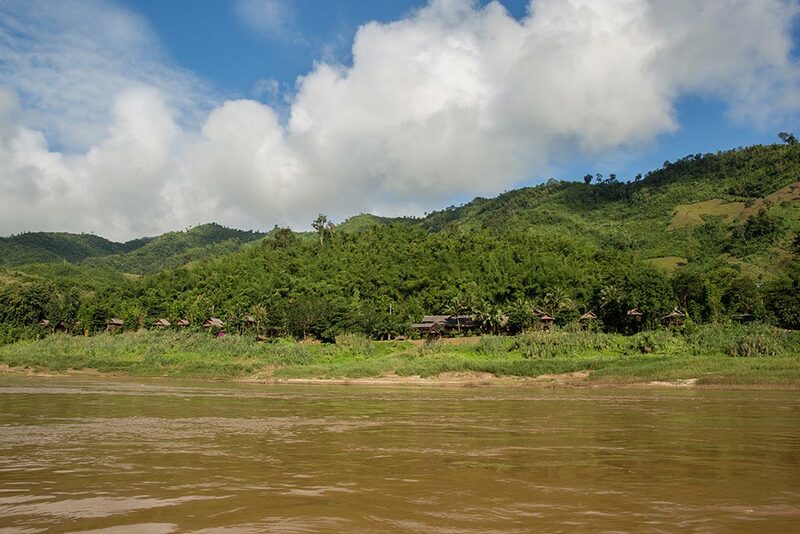 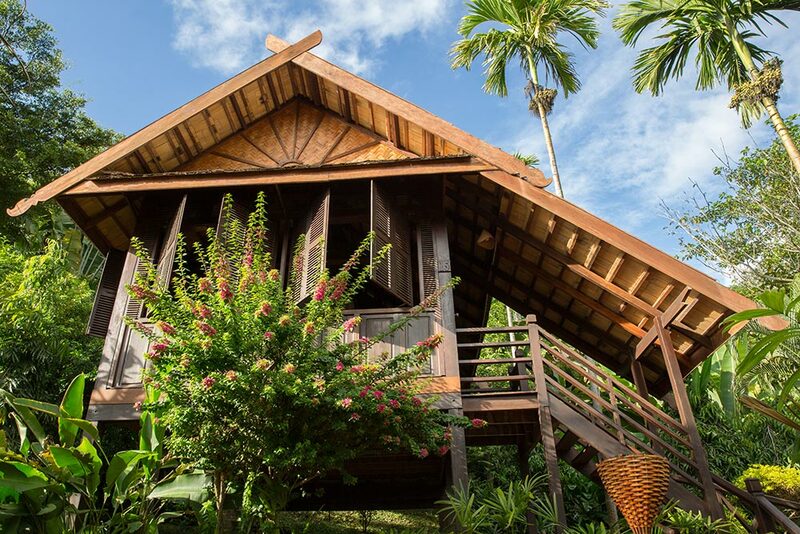 The Luang Say Lodge sits peacefully above the Mekong River, blending artfully into the natural environment through careful landscaping, raised platforms and indigenous styling. 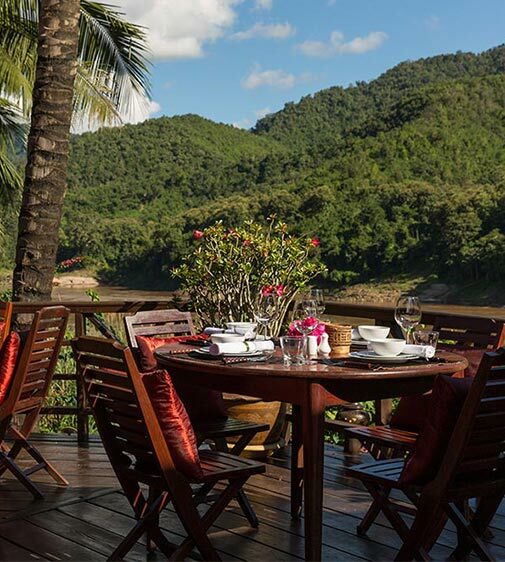 It features 20 large pavilions, each elegantly furnished in dark toned wood and white fabrics, and offering stunning panoramic views on three sides of the Mekong. 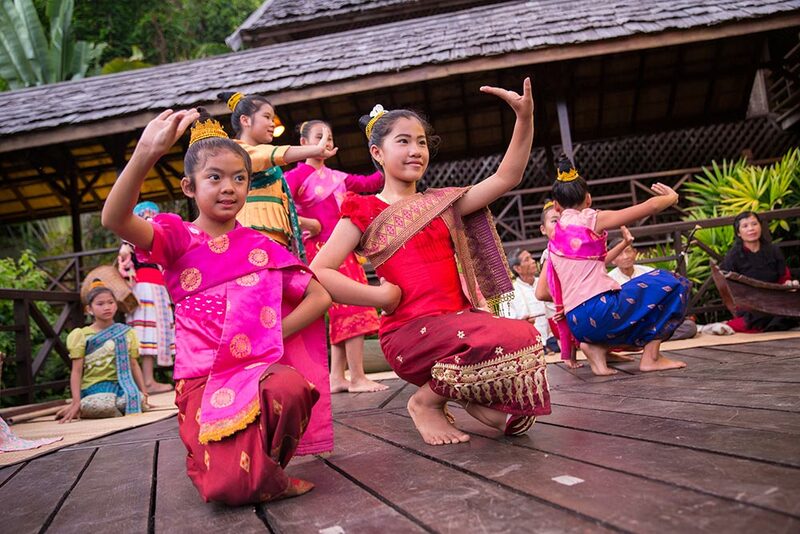 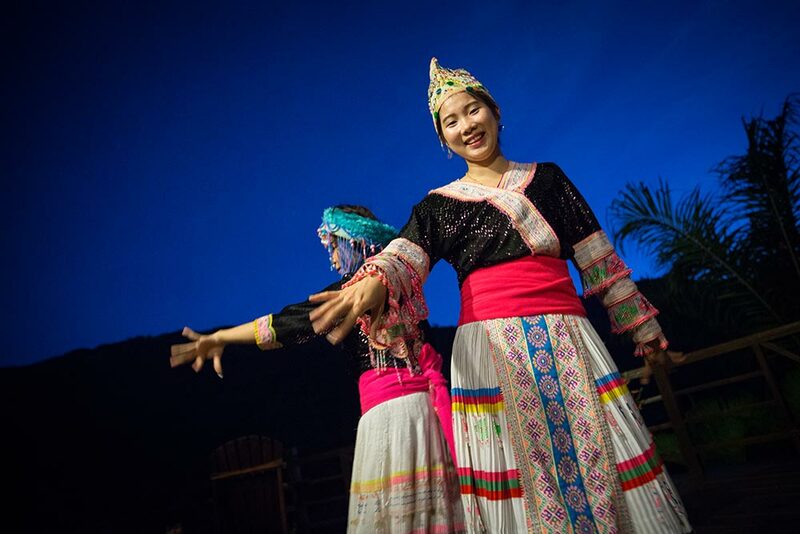 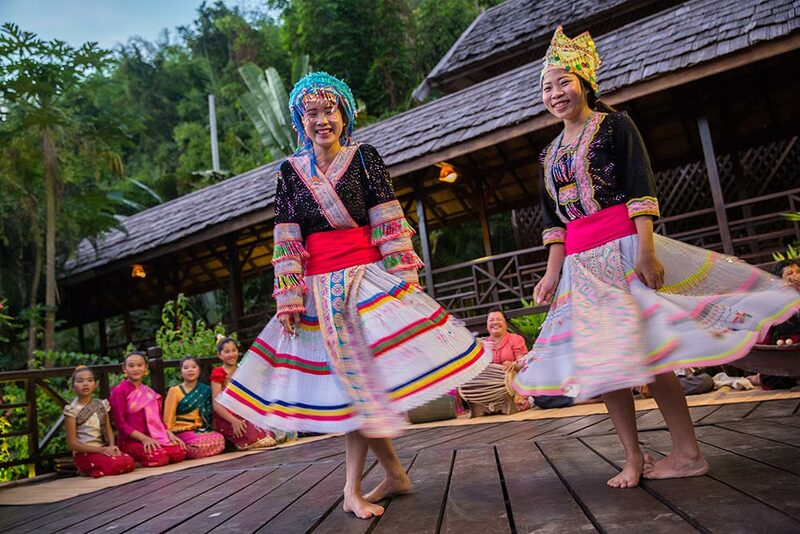 On days with passengers exceeding 20 people, we include an ethnic minority dance performance in the restaurant area. 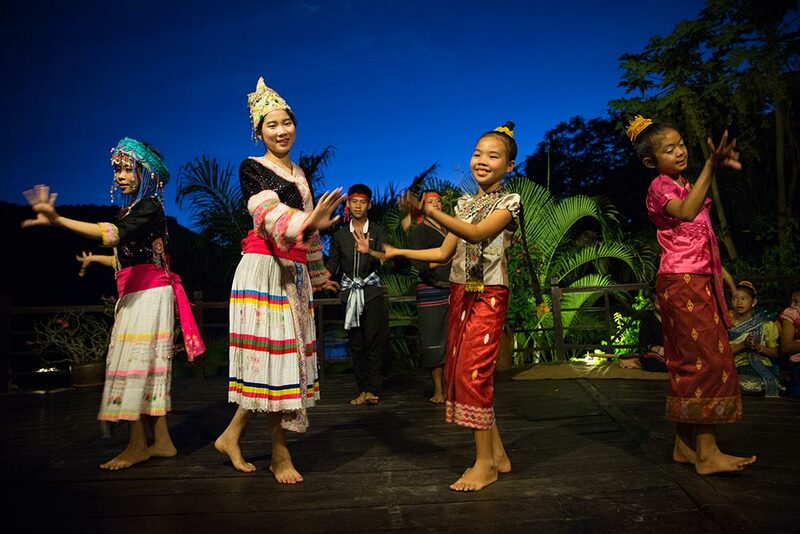 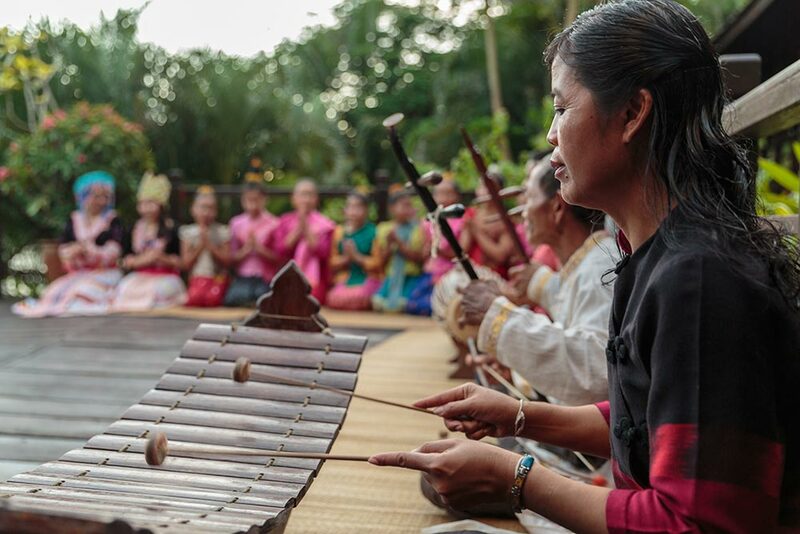 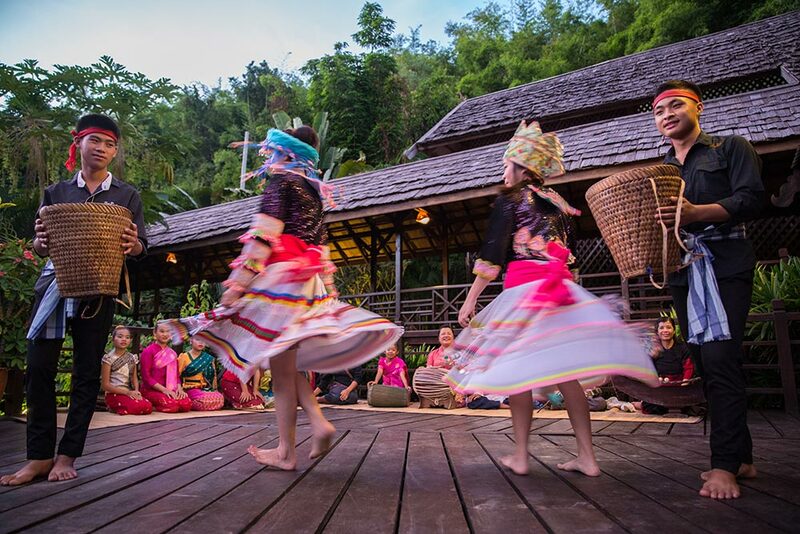 The performers are a mixture of our Luang Say Lodge staff, local villagers and school children. 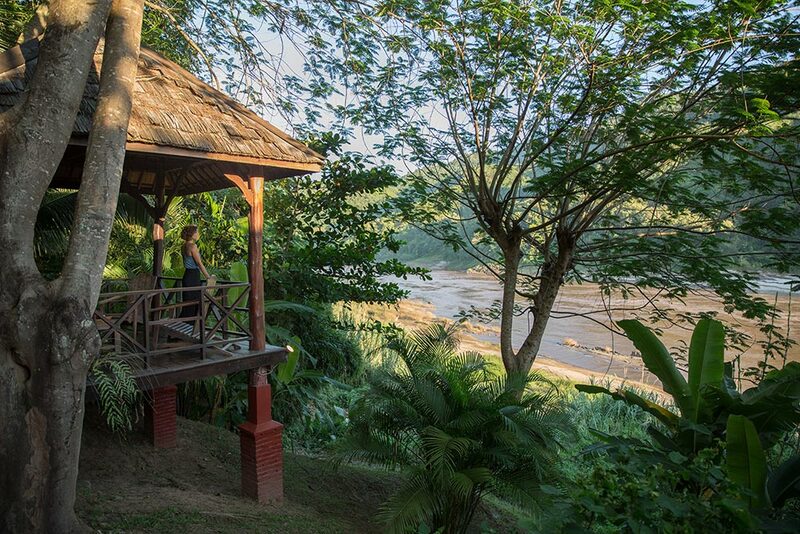 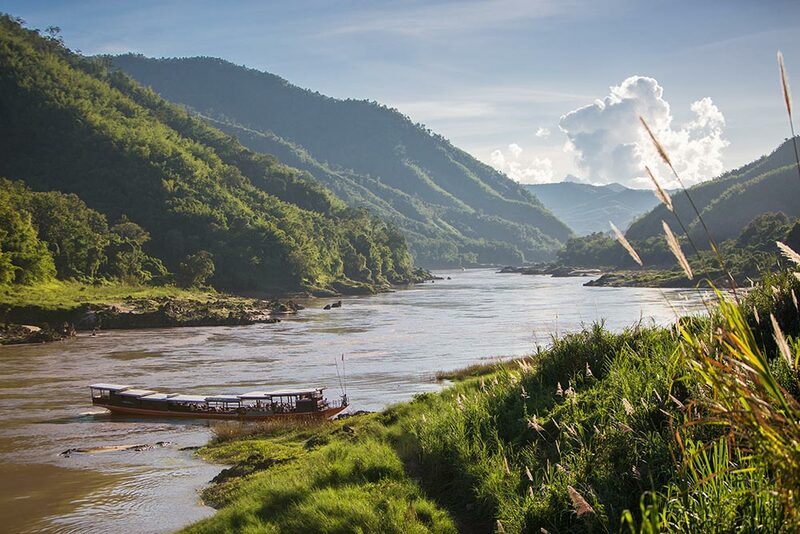 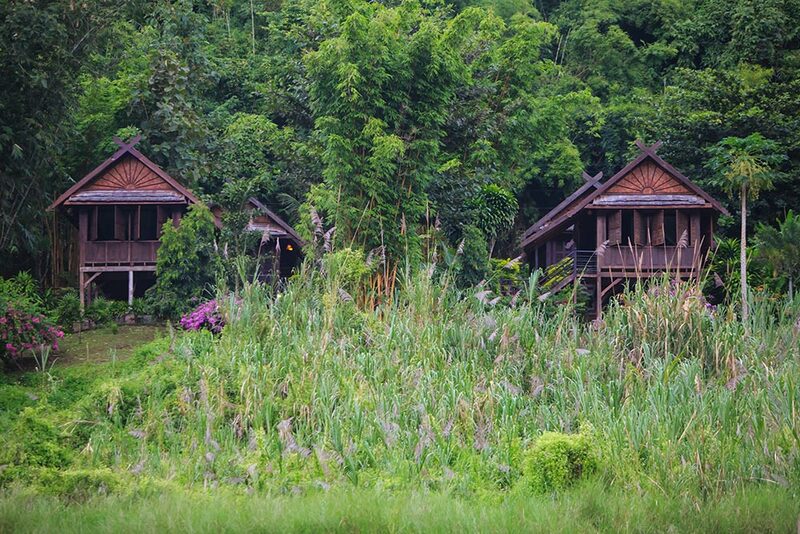 Would love to stay longer in this enchanting place… Will certainly recommend it … Peace and tranquility, it does exist in Laos! 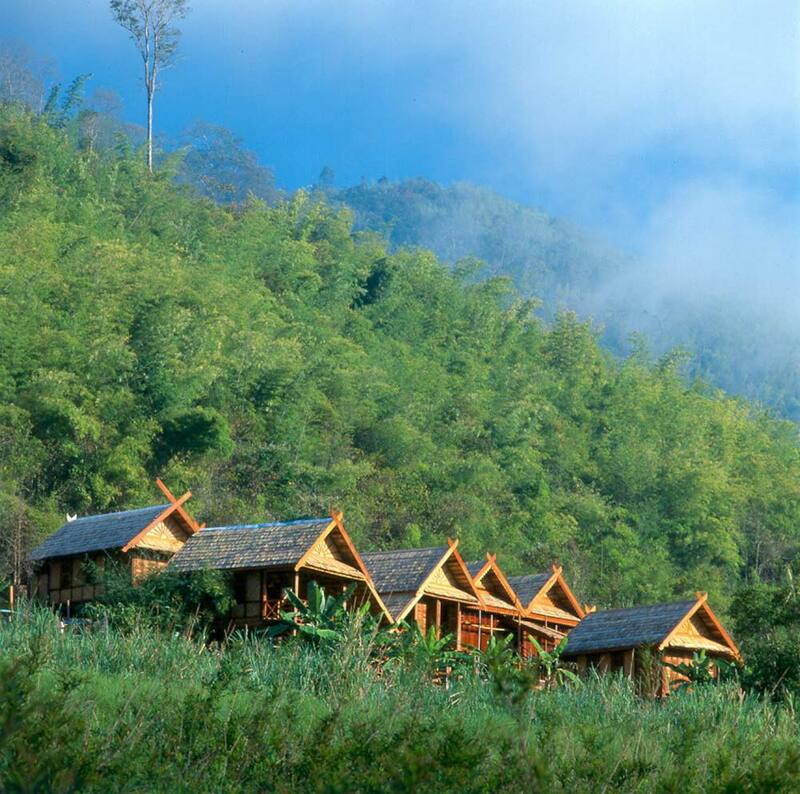 … A magical time out … Beautiful, idyllic setting, a dream come true. 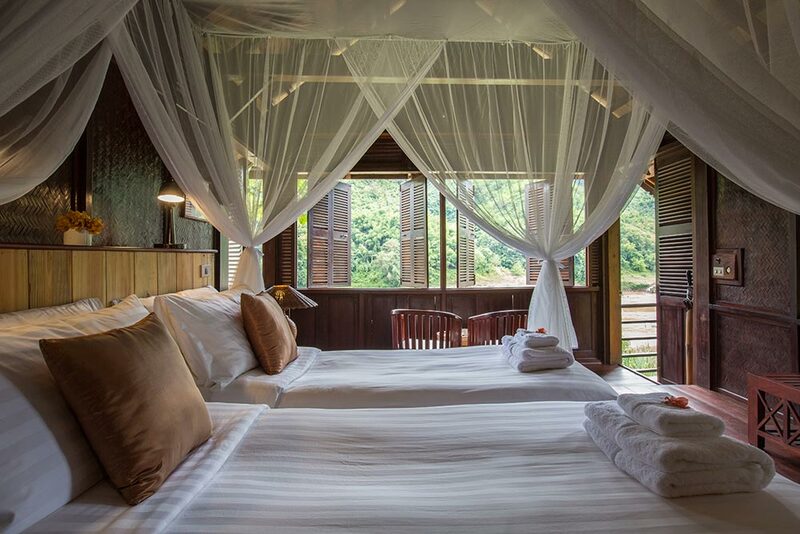 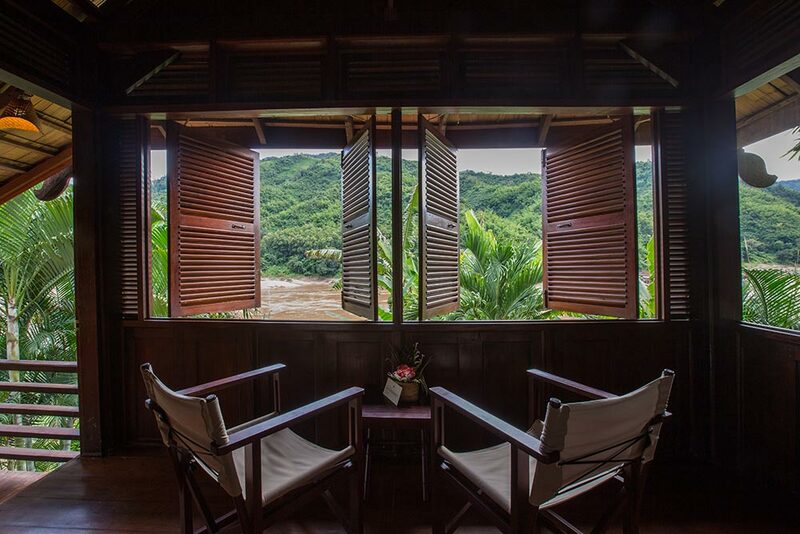 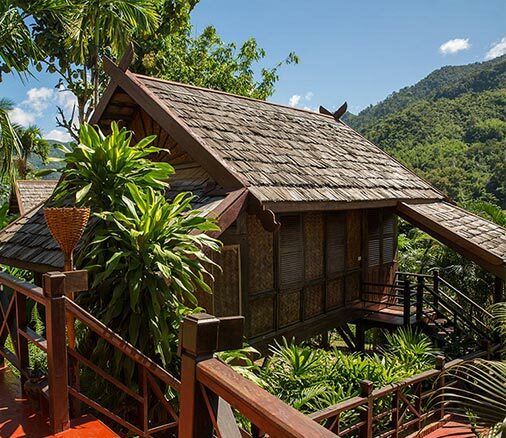 Built in 1998, the Luang Say Lodge is situated on four hectares of land with a traditional Laotian architectural design of 20 large bungalows, each with large open air windows looking out over the Mekong River and mountains. 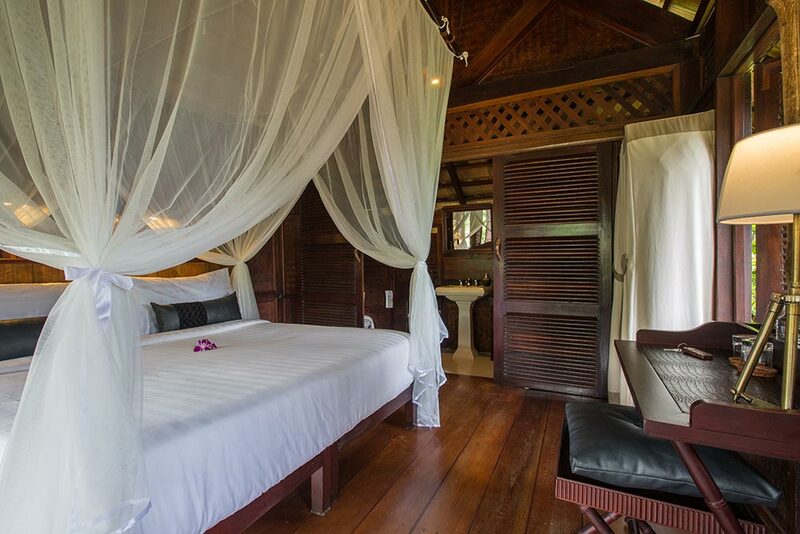 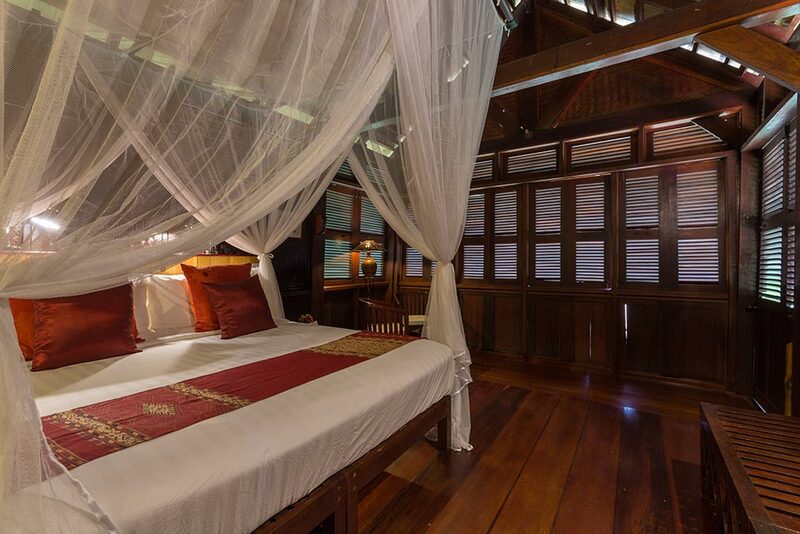 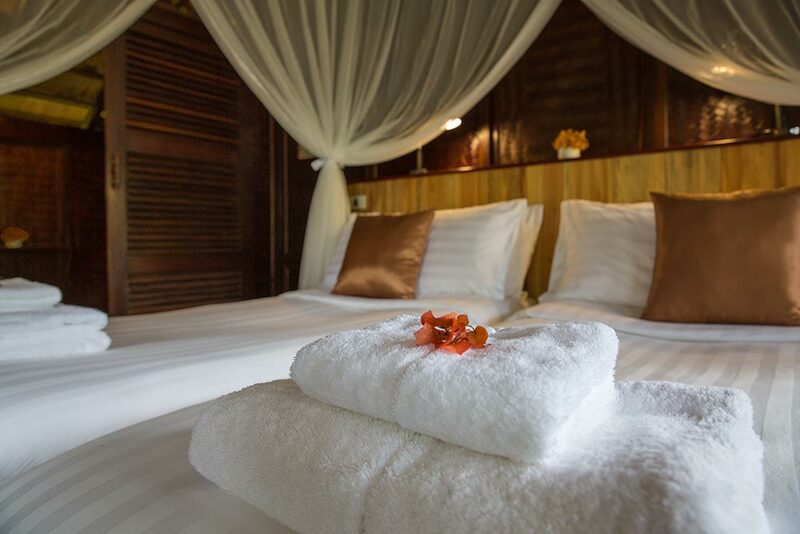 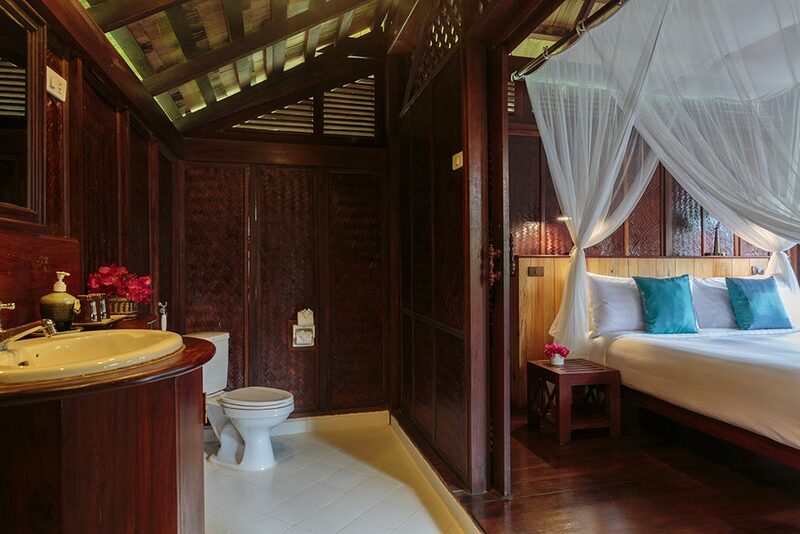 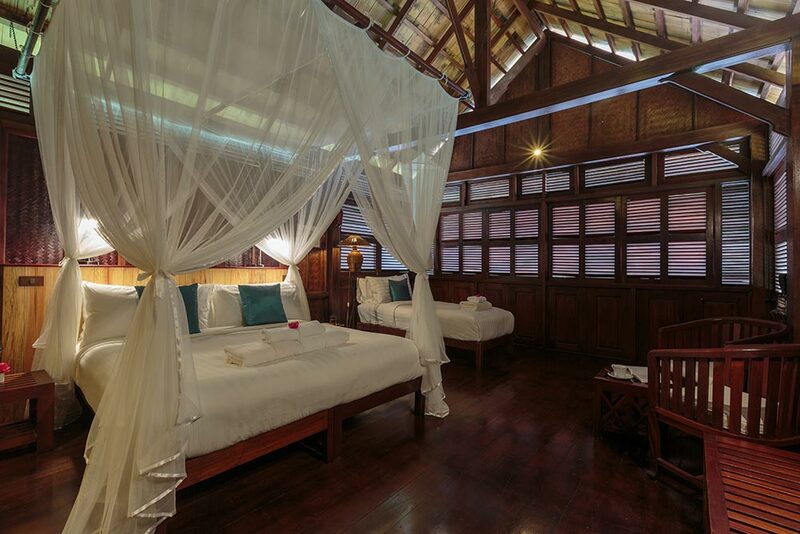 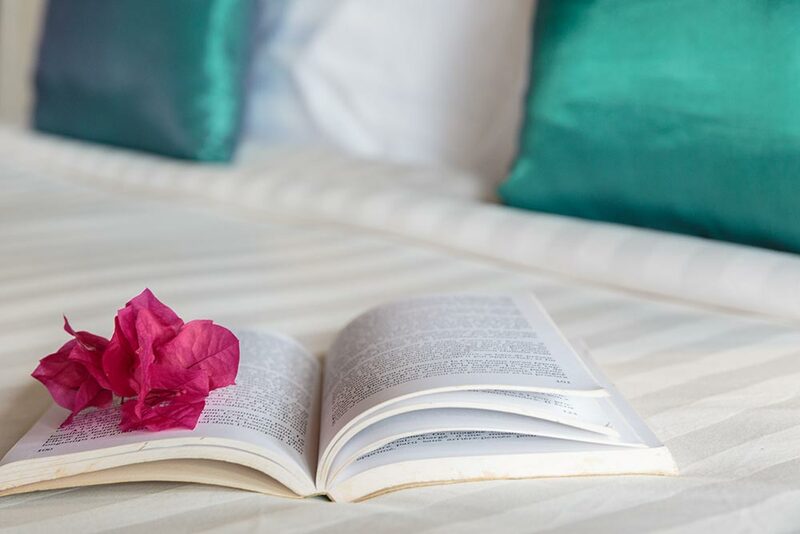 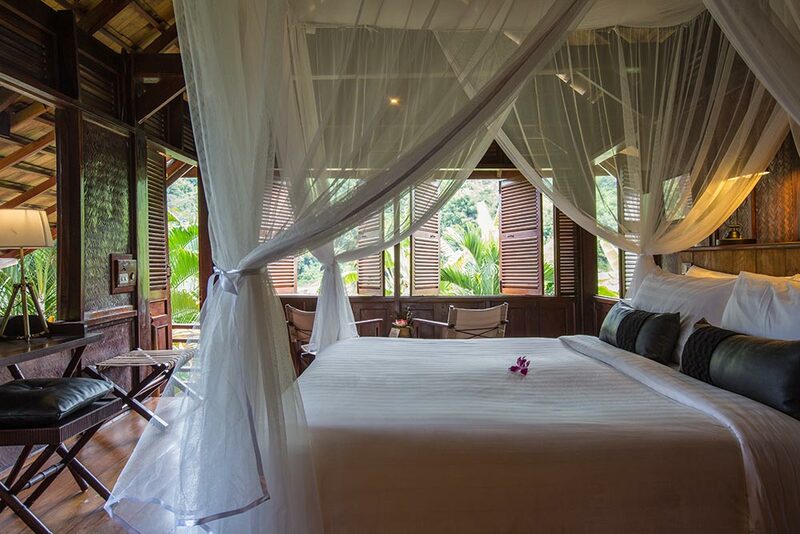 Each room is fitted with comfortable beds, mosquito nets, electric mosquito coils, a ceiling fan and private bathrooms. 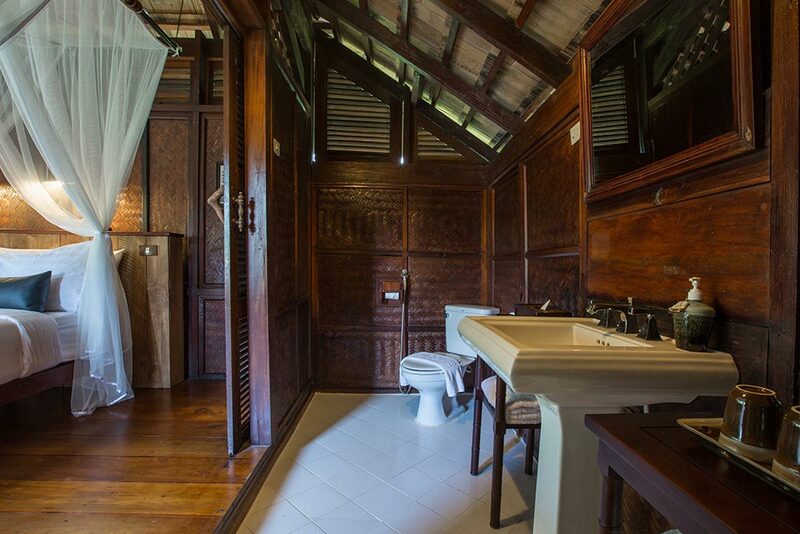 Your spacious bathroom has a hot shower and a western style toilet. 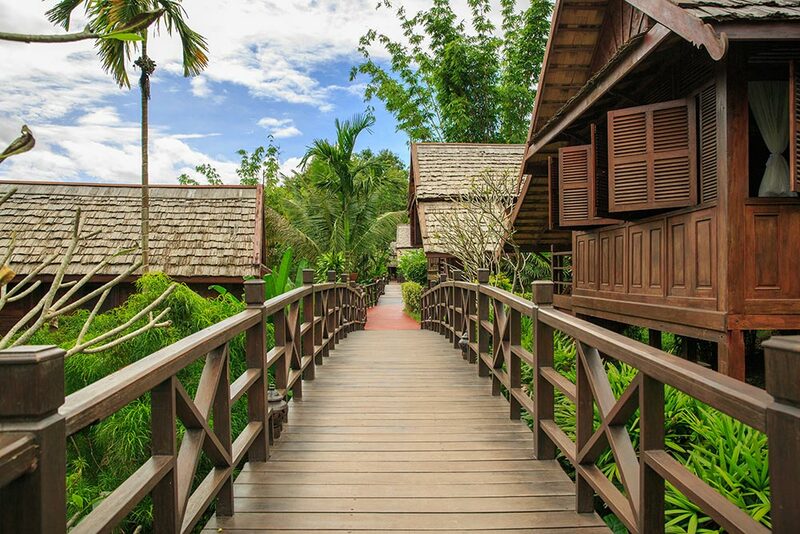 We have wooden walkways through our lovely gardens, linking all the rooms to the central restaurant and bar area, through our lovely gardens. 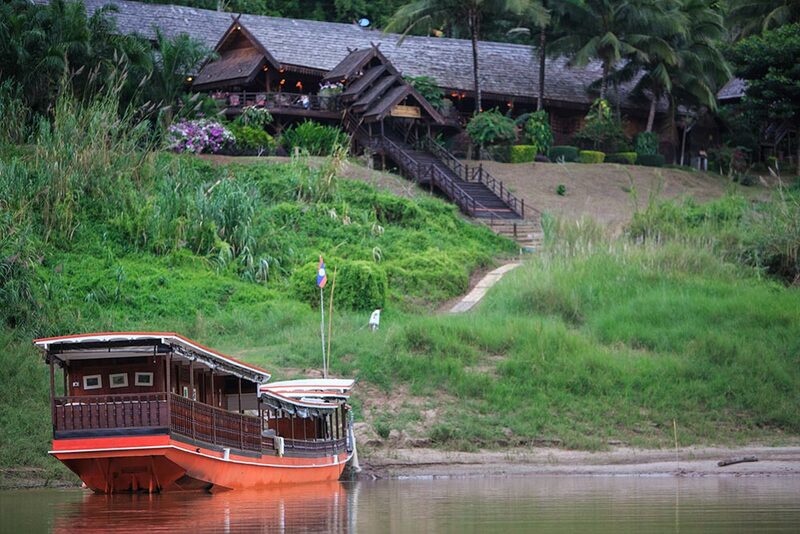 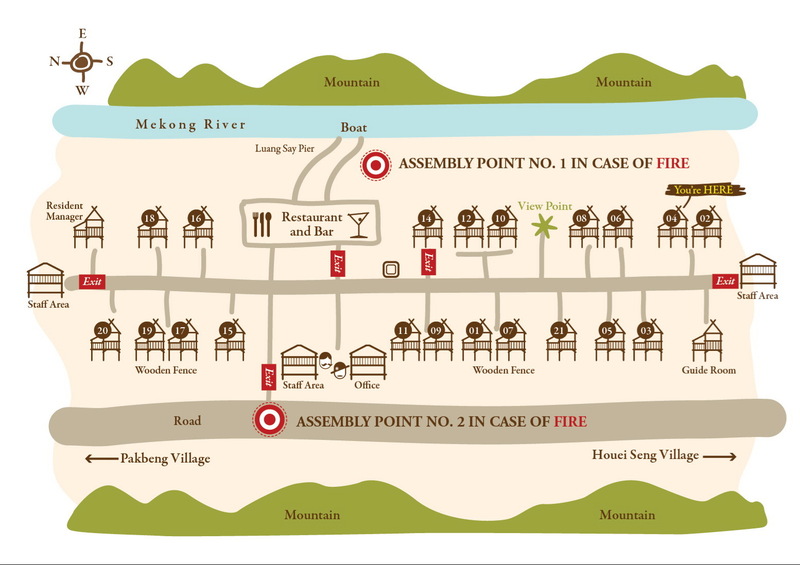 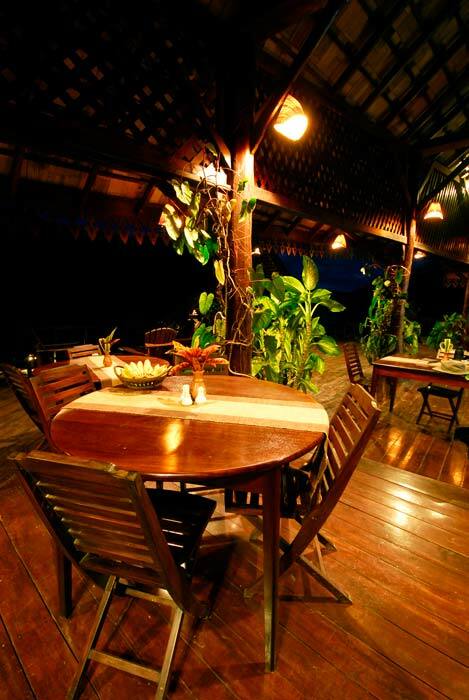 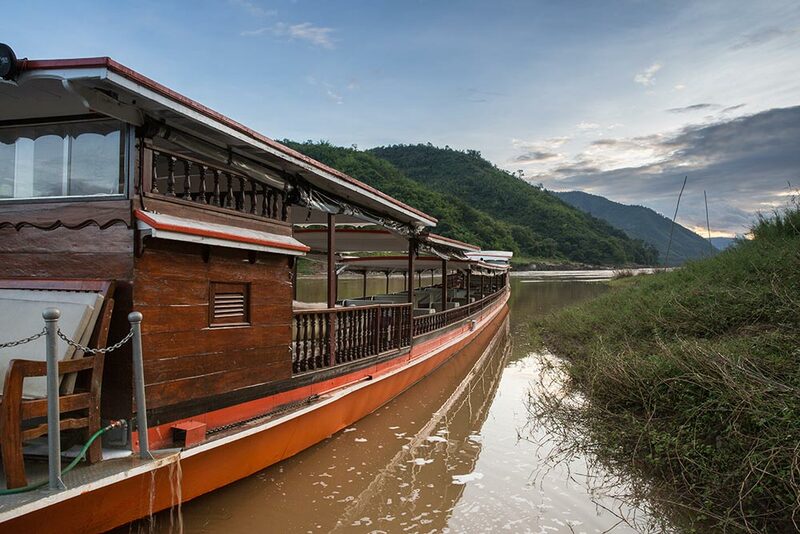 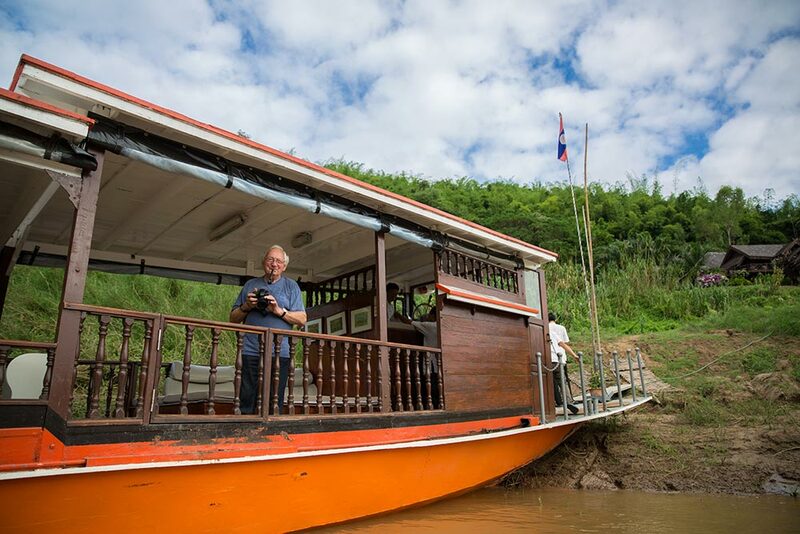 Looking for a charming restaurant on the Mekong? 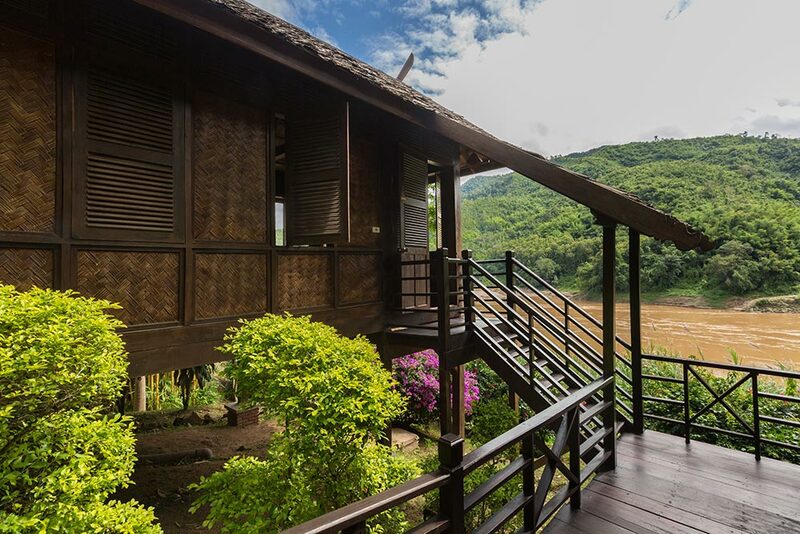 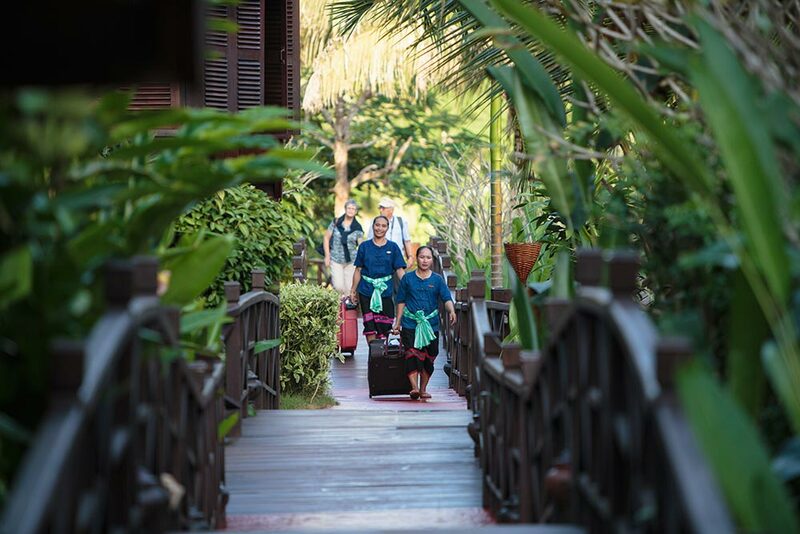 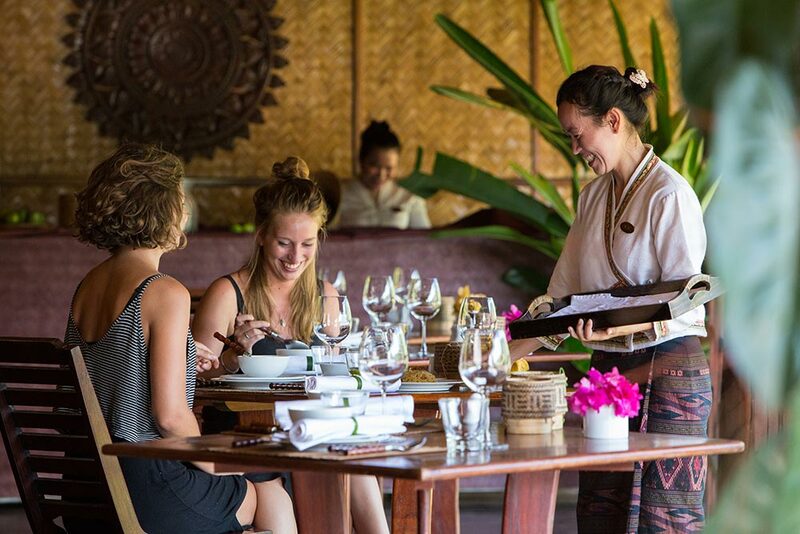 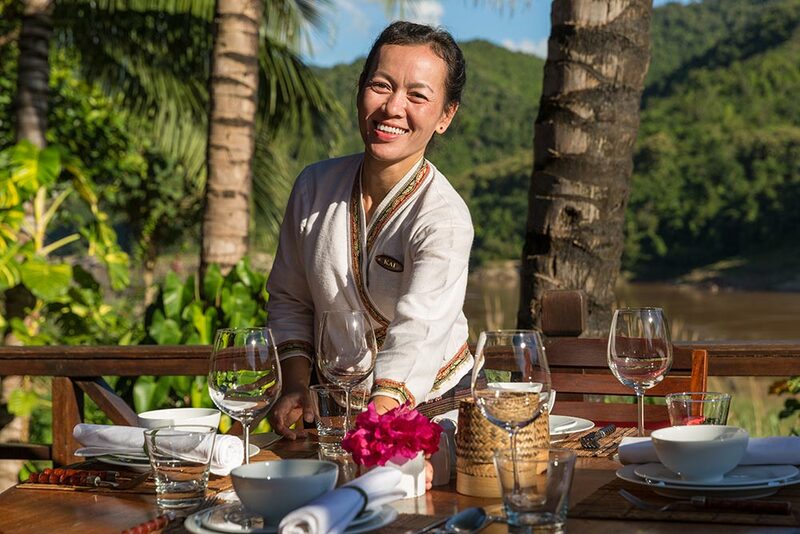 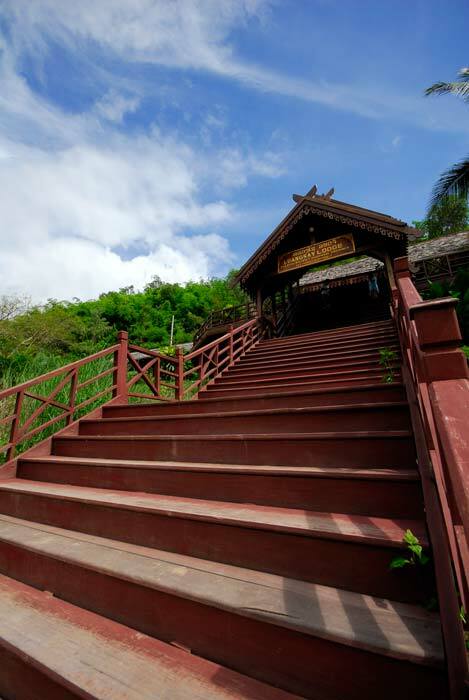 The Luang Say lodge has a central riverbank restaurant, overlooking the Mekong River, is easily reached by wooden walkways from the guest bungalows. 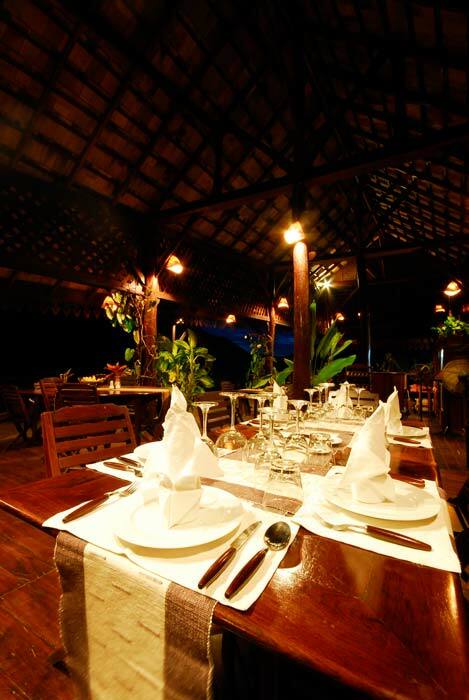 The guests can either eat together or at their own separate tables. 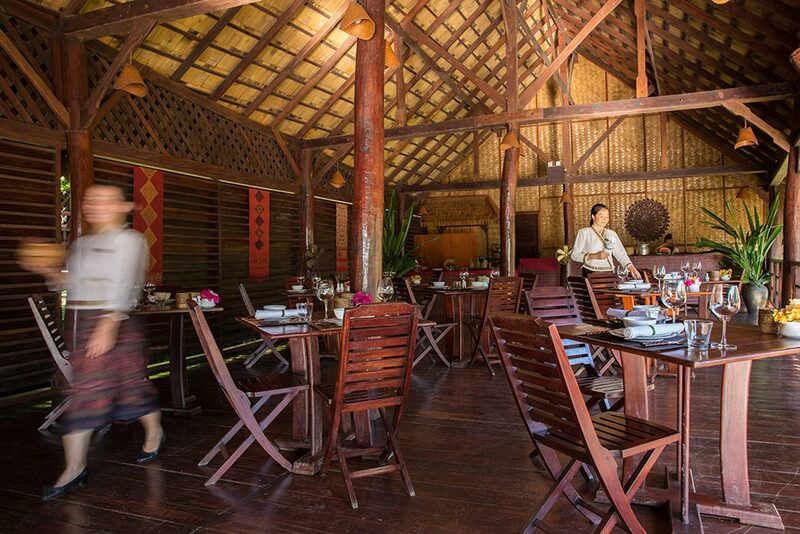 The buffet dinner of traditional Lao food, and the continental breakfast are served in this restaurant area. 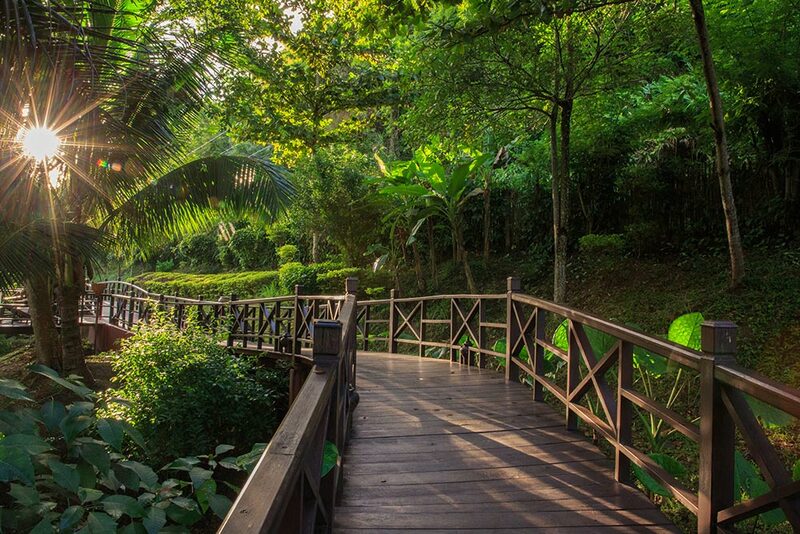 Most of our vegetables are grown organically in our own gardens or the local villages, with no artificial fertilizers or insecticides. 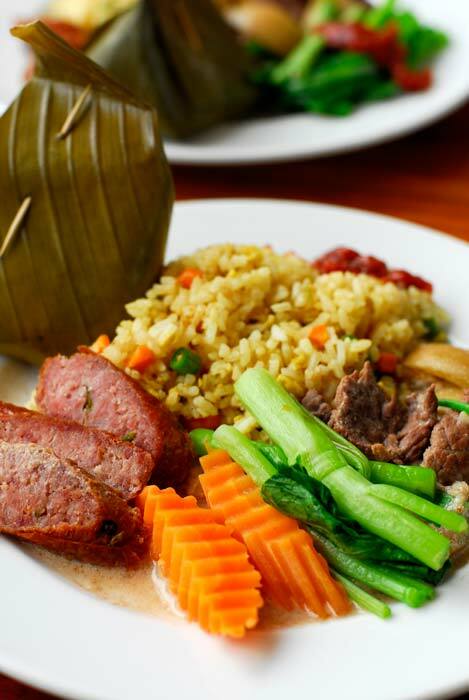 We can also cater for special meals requests, if you advise us in advance. 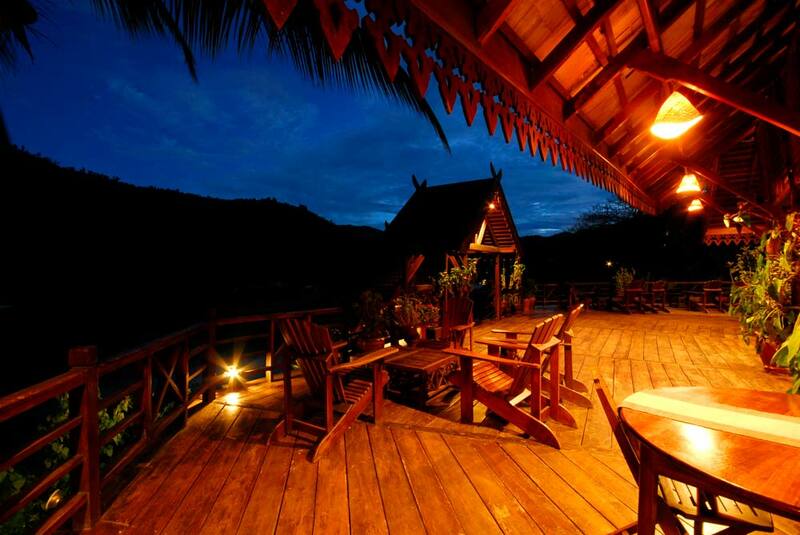 The Lodge has a fully equipped bar serving soft drinks, beer Lao and spirits for purchase. 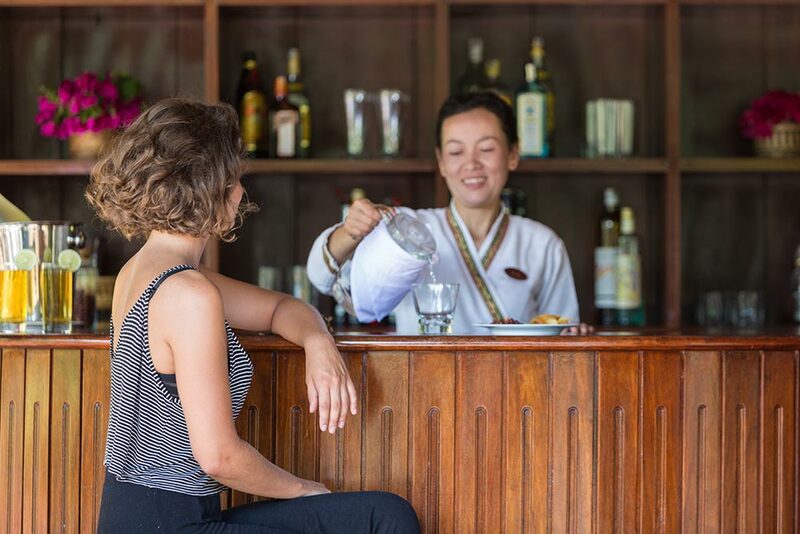 You can also try our monthly cocktail or wine selection choice, served by our smiling staff, while watching the sun goes down. 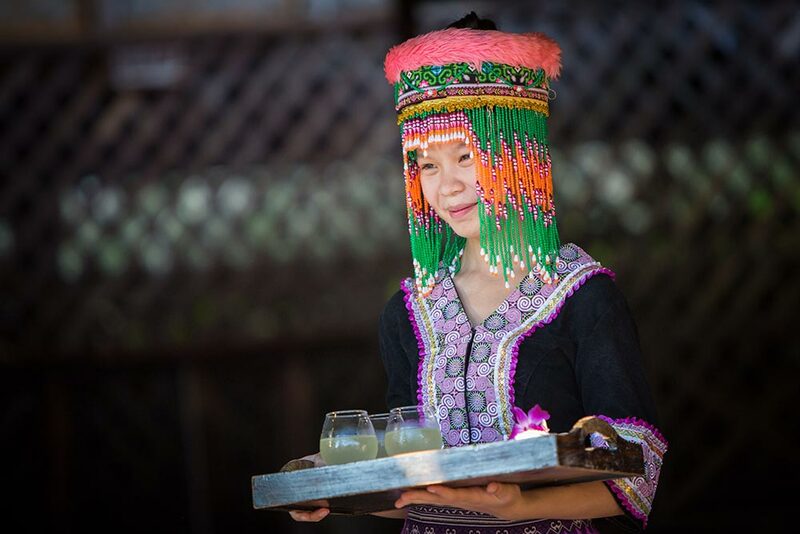 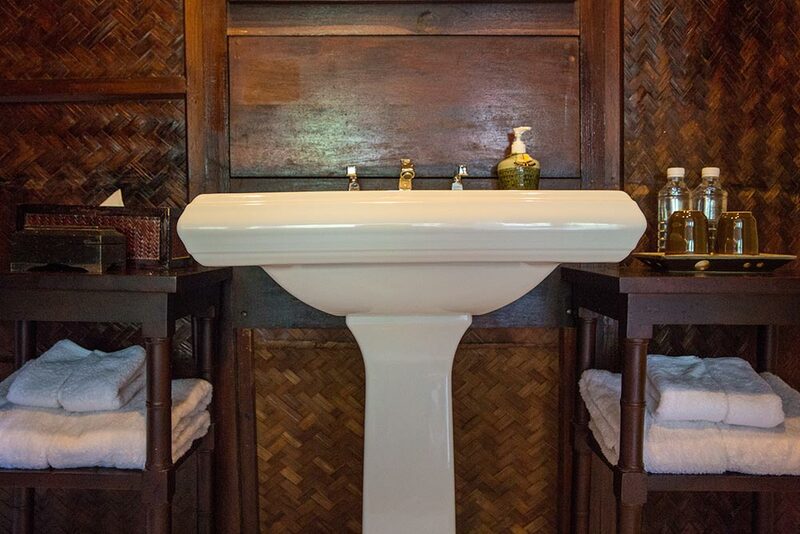 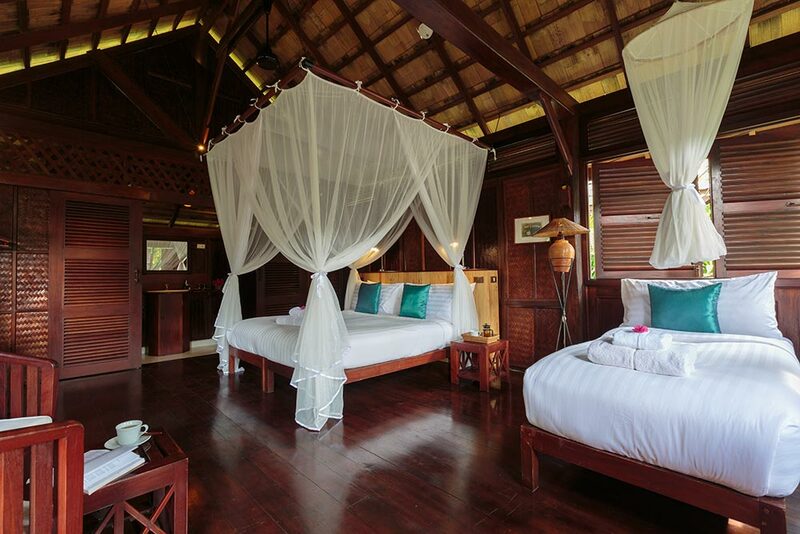 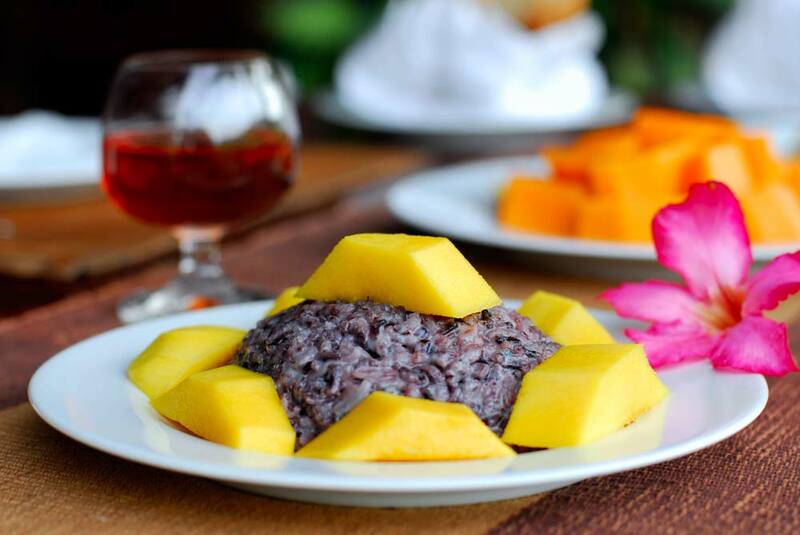 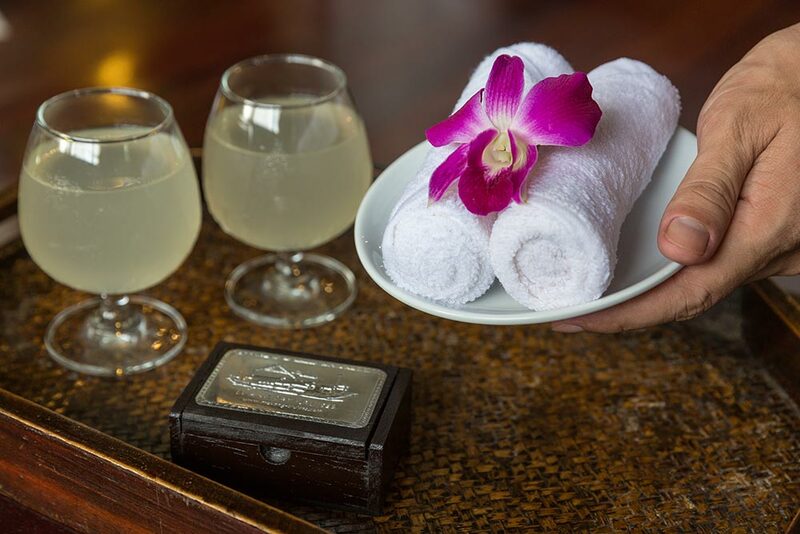 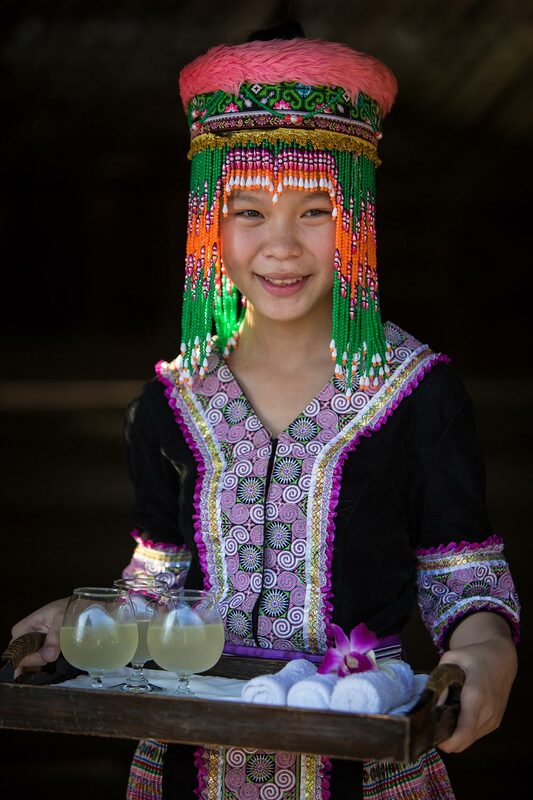 Laotian coffee, tea and drinking water, are included free for the duration of your stay at the Lodge.